Technology has advanced at nearly light speed over the last few decades, causing the bulk of the industrialized world to go from analog to digital almost overnight. And while it seems no industry escaped being caught up in the flood of digitization, few have been as completely enveloped as finance. In many ways, consumer credit has shown some of the most obvious signs of the new digital era. Indeed, between the rise of online banking, the finance-app revolution, and plastic replacing cash as king of purchases, the consumer credit world of today looks very different from its ancestors of just a few generations ago. But for all the convenience brought on by new technology, some old problems remain. The credit card is the perfect example. Credit cards allow you to make purchases in-store or online with a simple swipe or insertion into a chip reader, often providing profitable purchase rewards in the process. At the same time, all that contemporary convenience can come with some antique strings, primarily in the form of interest fees. With the average credit card charging double-digit interest rates, your futuristic payment method could end up costing you hundreds in old-fashioned interest fees if you’re not careful. Thankfully, several methods exist for avoiding those outmoded interest charges and making the most of modern payment technology. One of the easiest ways to avoid paying interest fees on your credit card purchases is to simply pay off your balance before you’re charged interest. For most credit cards, the time between when you make a charge and when the bill for that charge comes due is known as the grace period. So long as you pay off any charges before the end of the grace period (i.e., your bill’s due date), most credit card companies won’t charge you any interest on those charges. For consumers seeking unsecured credit cards for bad credit with no deposit, utilizing a credit card’s grace period can ensure that high APR is all bark and no bite. Even if you have a low-APR credit card, interest fees can add up quickly on large balances. An important thing to remember when it comes to grace periods is that they typically only apply to new purchases. That means other transaction types, such as balance transfers and cash advances, generally don’t qualify for a grace period and will start to accumulate interest charges as soon as the transaction hits your account. Additionally, failure to pay off your entire balance before the end of the grace period means you’ll be charged interest as usual per your average daily balance over the course of the billing period. So, even if you make more than the minimum payment, you’ll be charged interest on your balance unless you pay off the entire amount. If you’re already stuck with a balance on one (or more) of your credit cards and have been, or will be, charged interest on that balance, you can potentially avoid paying more interest fees by transferring the debt to another credit card. Called a balance transfer, this process literally transfers your debt from credit card to another credit card — preferably, one with a lower interest rate. Since credit card issuers like balance transfers, many companies have started offering introductory offers designed to draw in these customers, and qualified applicants can find introductory deals for 0% APR on balance transfers. Even better, the intro offers provided by the best balance transfer cards allow you to carry a balance interest-free for 18 months or more. Keep in mind that introductory offers are temporary by nature, and your 0% APR deal will expire at the end of the offer period. Once your offer ends, any remaining balance from your balance transfer will be subject to the default balance transfer APR, which is typically the same as — or higher than — the card’s new purchase APR. You can find the balance transfer APR listed in your cardholder agreement. Another thing to consider before making a balance transfer is the potential balance transfer fee. The receiving credit card (the card to which you transfer your balance) will typically charge a balance transfer fee for the service, which usually runs between 3% and 5% of the total transferred amount. Depending on your interest rates and balance, a balance transfer can easily be worth the fee, but do the math for your own situation before proceeding. While balance transfers can be a great option for reducing — or avoiding — credit card interest fees, they may not be an option for everyone, particularly for consumers whose credit won’t qualify for a quality balance transfer offer. In this case, the best way to lower your interest rate may be to consolidate and refinance your credit card debt with a personal loan. Credit cards operate on a revolving credit line, which is designed to provide consistent, reusable, short-term financing. Due to their potentially volatile nature, credit cards tend to have high interest rates. Personal installment loans, on the other hand, are intended to be longer-term financing, and are repaid through a series of predetermined payments. Since loans have a certain measure of built-in profit (and security), they often have much lower interest rates than credit cards. This means that, even with less-than-excellent credit, many consumers can find a personal loan with a much lower interest rate than they’re being charged by their credit card companies. That’s not to say you’ll wind up in the single-digits with a personal loan; you probably won’t, unless your credit is excellent. However, even a relatively hefty 15% interest rate on a personal loan is a fair sight better than the 25% likely being charged for a credit card at the same credit range. A great way to make the most of your consolidation loan is to make multiple loan payments each month (i.e., paying more than you’re required to pay, and not splitting your required payment into two). Not only will this ensure you’re never late, but it will also allow you to pay off your debt faster and will cost you less interest over the life of the loan. No matter which method you choose, always make sure you make at least the minimum required payment each month by the due date. 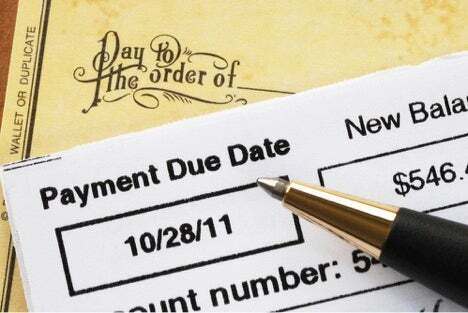 Late payments come with late fees, which can negate any cost savings from lowering or eliminating your interest rate. Additionally, late payments won’t qualify for the interest savings of your card’s grace period, and may result in a penalty APR or void an introductory APR offer. And that’s not to mention the potential damage a delinquent payment can cause to your credit scores; your payment history is worth 35% of your FICO credit score, so each late payment can mean a significant credit score drop. This entry was posted in Credit Cards and tagged APR, balance-transfer, credit card, interest. Bookmark the permalink.